Here's some exciting, besides being featured in Independent Fashion Blogger's weekly links, again (yaay! 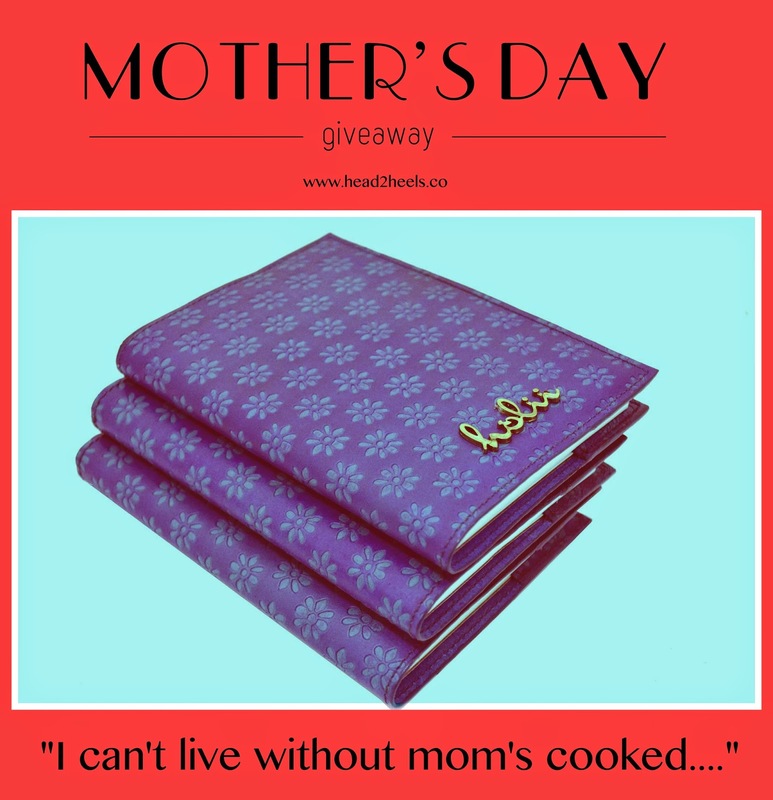 ), I'm also hosting a week long giveaway on Facebook for Mother's Day. More on that below.. Here are 19 other fabulous bloggers who got featured this week as well. For those of us who love summer... getting ready for the vacations, the travel, the cut-off shorts... is almost just as fun as the actual summer months. This week we have a fantastic roundup of everything you need to know to get ready for summer. Purging your closet, getting festival ready, getting your nails all done and so much more. So grab your iced coffee and cozy up, these links are fantastic! Marie Trepanier: Blogging: Friend or Foe? Style Vanity: What Is It Like To Get A Major Haircut? 2. The top 20 links with the most votes will be selected. About the giveaway, here's your chance to win a cute leather bound notebook for your mother (or you can keep it for yourself, I won't judge). All you have to do is complete the sentence "I can't live without mom's cooked... " and tell me the most amazing thing that your mom prepares that you cannot live without! Click on the picture below to participate. Multiple entries are allowed!